The priority of an airport is the safe transportation of its customers and a safe working environment for the staff that operate within it. We have a strong safety ethos within the company and our Airport clients benefit from our large consistent bank of experienced staff ensuring flexibility, loyalty and consistent working relationships. Working airside it is essential to maintain a safe and efficient environment for all airfield users. Our project teams are fully trained and experienced in specialised airside procedures. We regularly liaise with the CAA to ensure all projects are fully compliant with airfield operation procedures. Not only do we have the correct processes and systems in place, but we also have the operational track record that shows we know what we’re doing. Our partners value Ryebridge as a solutions focused company – we all know projects can hit challenges, so having the right partners is critical. Safety and security standards at airports are paramount. At Ryebridge we know how to manage these requirements and we have a track record of successful airside projects to prove this. A major challenge for any airport is the logistics around passenger drop-off and pick-up areas. If that’s not challenging enough, things can get a whole lot harder when these facilities require construction work. That’s when it’s time to call in the team from Ryebridge. We have a number of successful projects under our belt and customers tell us they appreciate the pragmatic, results-driven approach we take to delivering landside projects coupled with minimal impact on day-to-day operations and passenger movements. Landside construction is central to the on-going development and maintenance of an airport but the priority is to ensure that work does not impinge on the service to its customers. This requires a skillset broader than just construction; from the very early design and planning stages, our team has the continued smooth running of airport operations as one of their top priorities. We are proud if the fact that we have the capacity to deliver a wide variety of landside works. 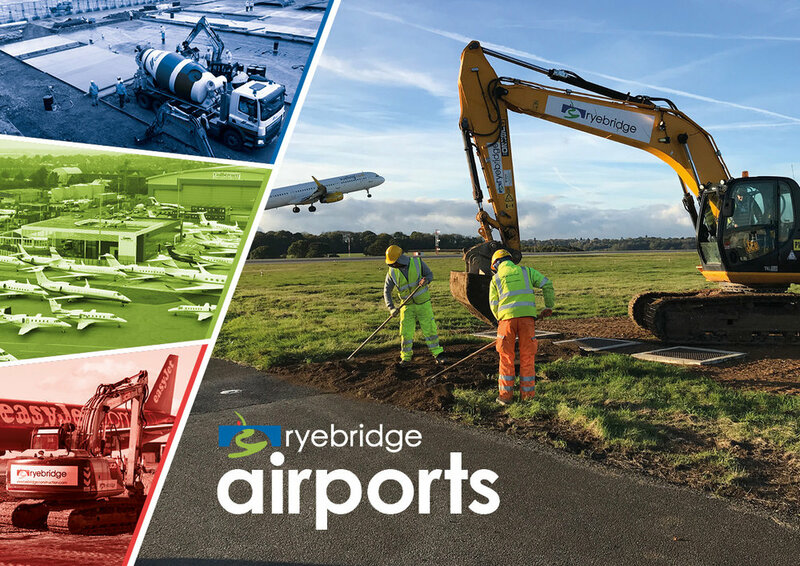 Thanks to our track record of working in airport environments, Ryebridge know the importance of complying with rigorous security requirements. All our personnel are fully vetted before being submitted for airside passes, and are continually educated and assessed in the standards required for maximum security. There is probably no more important element of an airport’s operations that the Air Traffic Management system, so construction work on ATM infrastructure can only be entrusted to proven contractors. Ryebridge have undertaken such work, co-ordinating projects from the very earliest stages, and working at Luton Airport in partnership with the overseas steelwork fabricators. Strong project management skills and high quality standards resulted in the delivery of another successful Ryebridge assignment. In the event that supporting infrastructure is also required, our experience of DNO and cable-pulling projects mean that Ryebridge can provide a genuine end-to-end solution for Air Traffic Management civil engineering requirements. Working with International ATC providers and UK specialists, Ryebridge can fulfil your requirements.